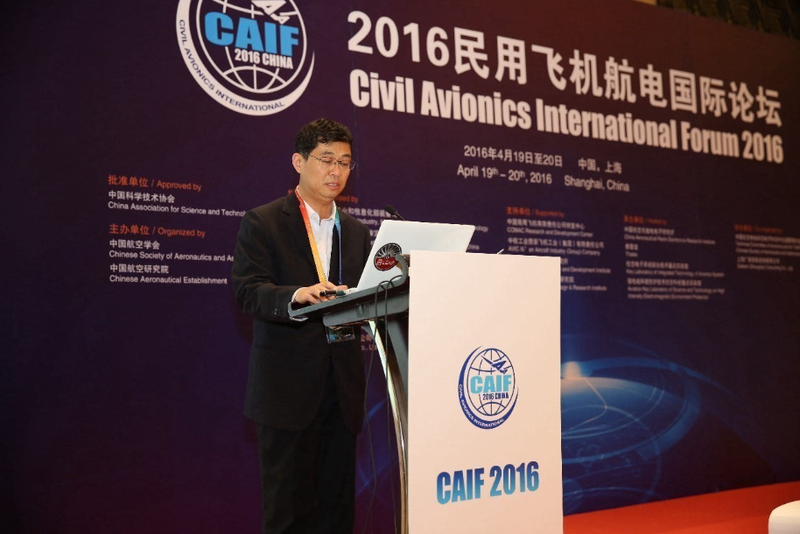 Organized by Chinese Society of Aeronautics and Astronautics and Chinese Aeronautical Establishment, co-organized by Galleon, Civil Avionics International Forum 2016 was held on April 19th �C 20th, 2016. CAIF 2016 attracted over 400 delegates from governments, organizations, institutes, universities and industrial enterprises such as AVIC, COMAC, Boeing, Honeywell, Thales, etc.. Mr. Ding Quanxing, Vice President of AVIC Luoyang Institute of Electro-Optical Devices delivered keynote speech, the Head Up Display (HUD) of C919 aircraft and Synthetic Vision System (SVS) were displayed during the summit. AS the C919 aircraft off the assembly line, ARJ21, MA700 regional aircraft, wide-body aircraft, civil heavy helicopter, AG600 amphibious aircraft projects will enter into a new chapter. And the development of avionics system is crucial to continuously improve aircraft safety, economy, comfort, environmental friendliness. Ding dedicated focus on " New Idea, New Concept, Foresee the Future " forum topic made a "cockpit Combined Vision Systems――Ensure Safe & Efficient Flight Under All-Weather Conditions" speech, to make the that this newly emerging cockpit technology ―― Combined Vision Systems come into the delegates ‘mind, this technology can improve the safety of navigation and efficiency significantly under low visibility conditions, attracting lively interest of professionals and specialists. During the summit, the HUD and SVS photovoltaic prototype attracted large number of delegates. Representatives from COMAC, AVIC, Boeing, Jeppesen, AVIAGESYSTEMS and other companies gave high opinion. Meanwhile, the forum also provided an opportunity for cooperation between Jeppesen and AVIC Luoyang Institute of Electro-Optical Devices within the aerospace database collection, evidence application and other matters, making step for the competitive bid of C919 SVS. 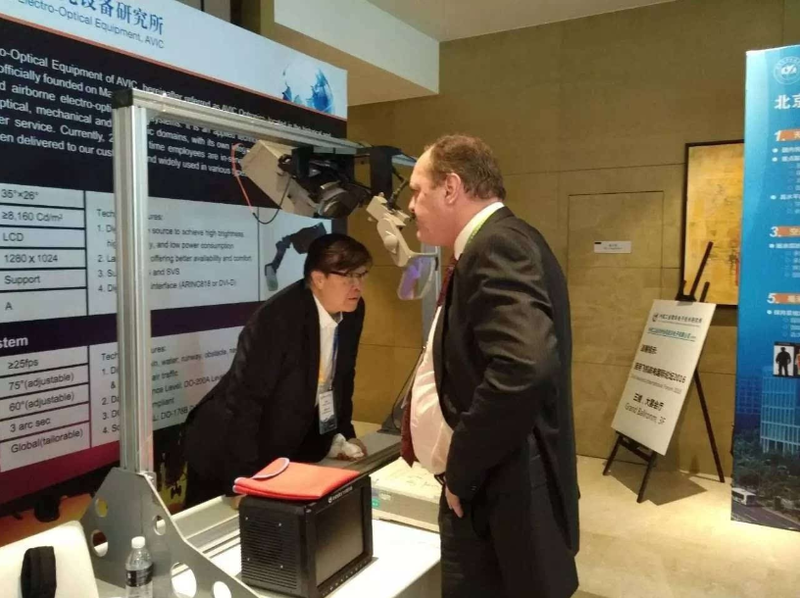 The civil avionics’ new products, technologies and principles of AVIC Luoyang Institute of Electro-Optical Devices were fully demonstrated during CAIF and very much revered by delegates, making positive influence for civil aircraft projects market development.